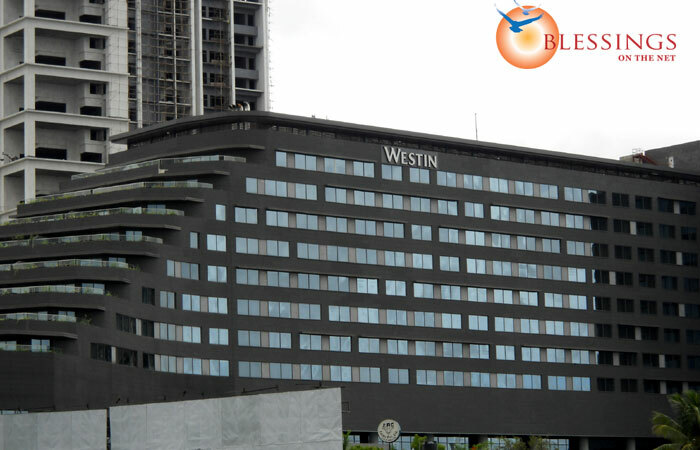 Hotel Westin is situated in Situated in beautiful Koregaon Park along the Mula Mutha River, Also in the vicinity is Magarpatta and Hadapsar, an information technology hotspot. Industrial parks lie within a 25-kilometer radius. 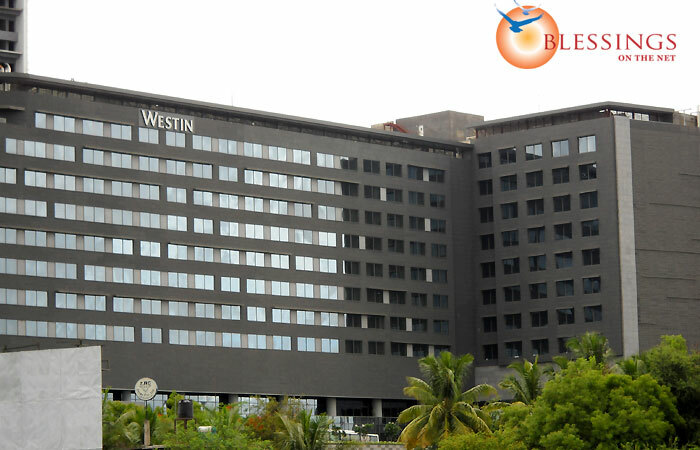 Hotel Westin offers 277 subtly stylish guest rooms and suites include Westin Executive Club Rooms,Deluxe Rooms,Club Presidential Suite. 189 Deluxe Rooms spacious highlighted by a Heavenly Bed and five dreamy pillows. The space also features a relaxing couch, 42" LCD TV, and a moveable work desk. 73 Executive Level rooms are located on the hotel's fourth floor, with beautiful river and green city views, complimentary wireless High Speed Internet Access, and exclusive admittance to the Executive Club Lounge, a sleek, upscale space offering complimentary breakfast and evening cocktails. Club Presidential Suite is an exquisite urban sanctuary for absolute repose. Located on our top floor, the suite features six bay windows overlooking our overwhelmingly green city and free-flowing river. 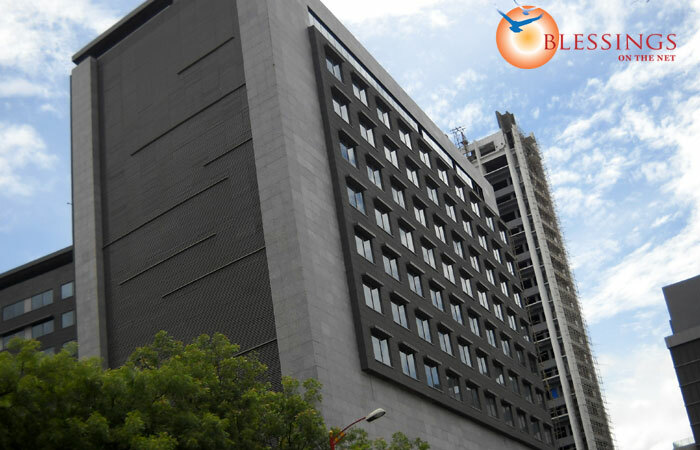 This elegant and capacious plan guarantees relaxation with its signature Heavenly Bed, rainforest shower, Jacuzzi, spa treatment room, and more. Club Terrace & Club Penthouse Suites offer superior comfort, with all of our standard amenities and exquisite furnishings, plus of a soothingly decorated living area with Bose radio or sound system and a dedicated dining space. Six restaurants and bars three unique eateries, one specialty food store and café, a lobby lounge, and a bar provide a wide range of culinary delights as well as myriad moments to savor. Our all-day dining restaurant, Seasonal Tastes offers a contemporary buffet and à la carte menu for a unique combination of Asian and international cuisine. People; Passion; Pleasure! Prego is a modern Italian restaurant serving authentic regional home-style dishes. Kangan features delightfully authentic Indian food from the North-West Frontier. Make Daily Treats your everyday, one-stop shopping destination for delectable gourmet delicatessen items. Mix@36, overlooking the Mula Mutha River, offers a stylish alluring wines, specialty coffees and teas, and snacks. Chill out in our hip and intimate Latin American club, Qba, featuring signature cocktails, premium and rare whiskeys, and tempting tapas.